Taking down the Christmas tree can be a real bummer. There’s that sudden void in the living room that wasn’t there before. Your hopes that you’ll find one more present will be unmercifully dashed. And of course, there’s the dilemma of packing that beast up for storage. We may not be able to do much about the first two, but we can help you with that last one. Fancy tree cases are either expensive or hard to size up to your exact tree, so putting your tree back in its original box may seem the most logical way to go—until you try it. You could probably sing the entire Twelve Days of Christmas song before you even come close because the reality is that your tree only fit in that box in the first place because a machine specifically designed to pack it put it in there. Humans may be a lot of things, but we are no match for tree-boxing robots. 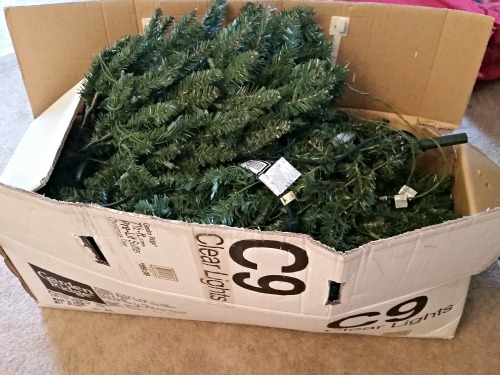 If you are determined to pack your tree in its original box, go for it. What we’re going to do is talk about how to pack up your artificial tree if you don’t have (or don’t want to fight with) your tree’s factory box. Hold the tree super tight. Once you’ve taken everything off the tree and taken it apart (some fake trees come in separate sections), give each extended piece a big gentle bear hug to get those branches compacted. Do take care to avoid putting undue pressure on the points where the branches connect to the tree stem. Otherwise, common sense will say how tight you can hug your tree. This is all you need to get the branches to start pointing downward (sometimes upward, depending on your tree). Naturally, the branches will loosen up some when you let go, so consider tying them up tight again with some basic string. And since we’re tying up tree branches, not our shoes, it’s a good idea to make a slipknot, not a bow. (Here’s how to do that.) Or simply tie a loop in one end of the string, bring the other end through the loop (don’t forget to wrap the string around the tree) and pull it tight. Either method lends much more mechanical weight to your string than a shoelace bow. Protip: You can try a rubber band if you’ve got some big enough, but don’t overdo it. They can deform the shape of your tree that way! Plus, they’re just hard to get off a year later. Think outside the original box. Now instead of wrestling our tree back into its original box, what can we use to pack it up? 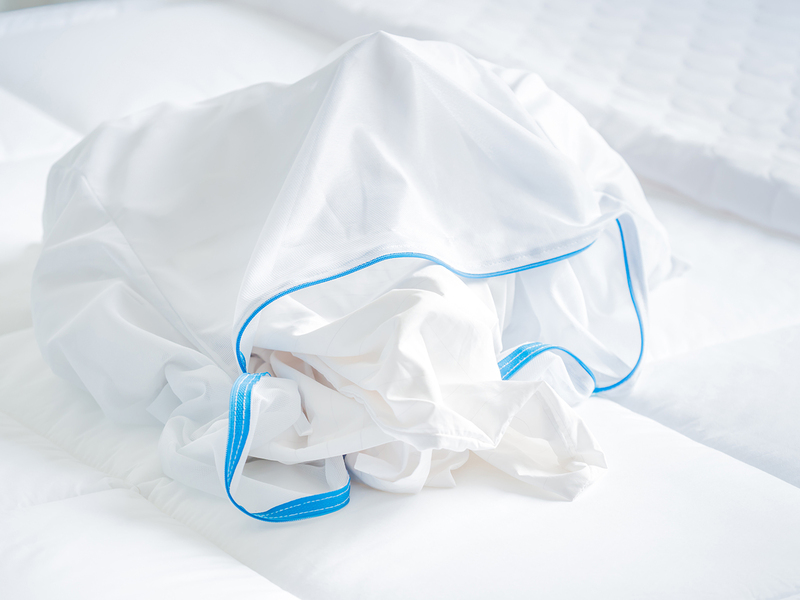 One option is a mattress bag, durable and likely plenty big. Another is a wardrobe box, which is obviously sturdier than a mattress bag and may end up offering you plenty of extra space to pack away much, if not all of your Christmas decorations. 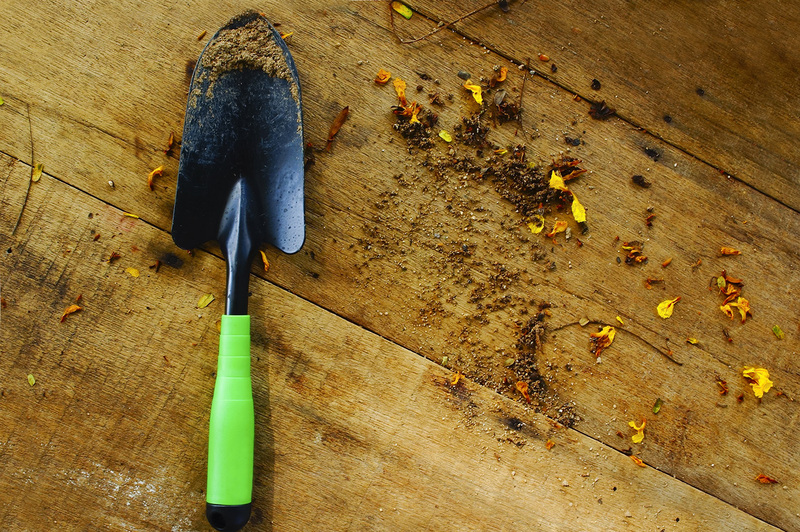 Your tree and all the trimmings in one sturdy box—how cool and convenient is that? 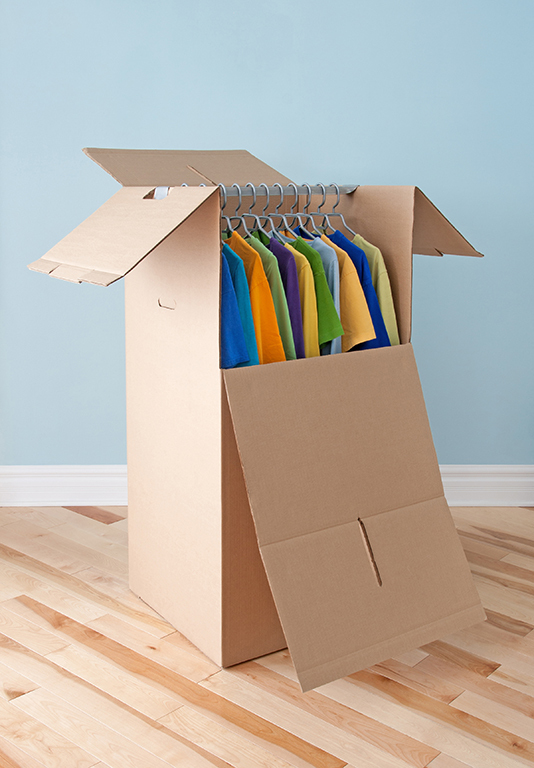 If you don’t need a box quite that big (they usually run from 46 to 60 inches tall), see if your tree will fit into the kind of extra-large boxes movers use, which are around 18” x 24” x 24”. You can get them at Home Depot, Lowe’s, most self-storage facilities or from your local moving company (who will probably have those wardrobe cartons available as well). Home Depot also has a wardrobe box measuring 24” x 24” x 34”. What size you get depends on how big your tree is— and how good a slipknot you can tie! One more and somewhat more expensive option is getting a bag designed specifically for packing artificial trees. Check Lowe’s, Home Depot, or the fancy-schmancy bags at Tree Classics. More durable and flexible than cardboard, they can come with various features like interior tie-downs, wheels and bases to allow you to store your tree upright. Keep it safe until next Christmas. However you pack up your tree, you’ll want to keep it away from moisture, dust, heat and critters for the next eleven months. Seal it up good and put it in a cool dry place. (Especially those frosted trees.) Lay it down if at all possible. Then when you’re all done, make sure you go fill up that void in the living room! Imagine you’re standing outside a self-storage facility. What do you see in front of you? Thick-walled buildings with metal doors bolted and locked up tight? Security cameras? Access code keypads? A tall fence with iron spikes? Heavy front gates and a sign warning would-be burglars about the 24-hour surveillance system? All self-storage facilities have … some of this stuff. Some places have all of it and even more, providing maybe some peace of mind to anyone storing there. That’s the idea anyway. But that’s not how it always works. “In many of the cases, the locks had been cut off and people renting the units weren’t aware their things had been stolen until Public Storage alerted them. One renter told us he lost everything from leather chairs to sports equipment in February while another renter even lost her deceased parents ashes. The facility in question? They have iron gates that will not open without the required code. They have surveillance cameras in place. Some of the units are located along the interior corridors of the restricted-access building, providing an even extra layer of security. So how does even one theft occur, let alone fifteen thefts? For starters, in at least one instance the facility’s security cameras were, according to the police reports, “not plugged in.” In many instances, the locks on the doors to the burglarized units had been cut, which requires nothing more sophisticated than a stout pair of bolt cutters. But come on … fifteen times? We see two possible explanations. Someone who is renting a unit, and therefore has the necessary codes to get into the place, is going in at night (or maybe even the middle of the day) and popping other people’s locks. 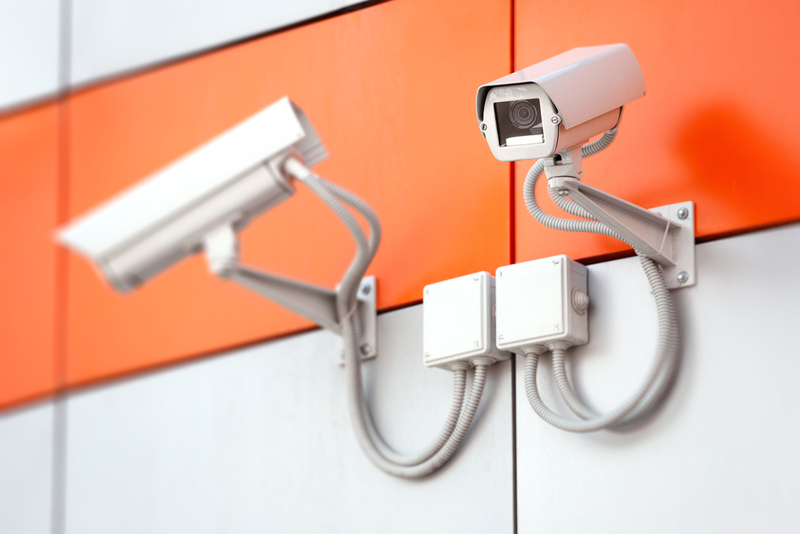 Assuming the facility’s management is interested in putting a stop to things, they would have checked their security footage and shared what they saw with the authorities. In terms of that place in Denver, according to KDVR’s report, this doesn’t seem to be the case. Which leads us to our second possibility: the series of thefts could just be an inside job by anyone from a low paid employee to a corrupt head of the company. No, we don’t have proof of either of these happening at the facility in question, and we aren’t making any direct accusations here. Maybe there are a couple of guys out there who are really good at hopping fences and slipping into locked buildings – and then slipping back out and hopping back over the fence carrying their loot which, in one of those cases, included leather chairs. I’m just saying. So how can we protect our stored belongings when we don’t even know who we’re protecting it from? But even these offer varying degrees of security. Questions to consider include: Do the cameras record grainy still-shots of moving objects or HD video resolution? Is the footage monitored in real time by a human being (who is not sleeping) or does it just get stored somewhere until a theft has already occurred? Are the codes for the gates and doorways changed regularly? Is each customer assigned a unique code to detail who has come and gone when? You should even ask if a facility records the license plates of vehicles entering and exiting the premises, or whether they check photo IDs of people on their way in. Also, is there is a backup power supply for all those codes and cameras in case of an outage? Don’t be shy about asking such questions. These are things you are paying money for and need to know. What the surrounding environment consists of, such as, does it stand in developed suburbia or out in a landscape of abandoned lots and industrial parks? There are also things you can do yourself to decrease your chances of being victimized. Using a lock the facility provides may be convenient, but your better bet is to get your own lock. Law enforcement types and criminals alike will tell you that a padlock is no match for the well-equipped thief. A disc lock or a cylinder lock (if the facility can accommodate one) is much more difficult to cut. While we don’t recommend it, if you must put certain valuable or irreplaceable items into storage, put them in the rear of your unit to make them less visible and thus less vulnerable. And for the protection of everything you are storing, be aware that while a self-storage provider may offer some kind of coverage against fire, flood or catastrophe, they are under no legal obligation to do so. What’s more, they will, by and large, refuse to be held accountable for any loss due to theft. Most facilities will require renters to have their own insurance policy for their belongings, but your homeowner’s or renter’s insurance policy, even if it covers stored items, may not allow for reimbursement for items damaged by mold, mildew or infestation, regardless of who may be at fault. And finally, do a little searching at home. A quick Internet query may turn up some bad news about the self-storage facility that looked so good in person. Now, whether one incident at this or that place may not be grounds for outright rejection in your book. That’s your call. But fifteen thefts in ten months? You might want to keep on searching. NEWS FLASH!! The self-storage business is BOOMING!! Okay, this is hardly news to anyone in or around the moving industry. Still, the latest numbers are staggering, which means a lot of you out there are probably noticing the trend in your day-to-day operations. SpareFoot recently reported the construction of new storage facilities exceeded $1.9 billion in 2016. That’s a lot of money spent to store a lot of stuff. But that was just a warm-up. In only the first eight months of 2017, self-storage construction surpassed $2.27 billion – which translates into over three billion dollars’ worth of new self-storage units being built this year alone. So what does a few billion dollars of storage look like? Simply Self Storage quotes Statistic Brain in telling us that, as of September 2016, there were 2.3 billion square feet of storage space in the U.S. “That’s equal to 82,5 square miles,” they say, which is about the size of Las Vegas. With all the construction happening this year, that total area will probably stretch halfway to the Hoover Dam. Ben Vestal, who authored the abovementioned analysis, says in his introduction that there are still areas within these over-supplied markets that are ripe for successful new projects. Perhaps time – and next year’s reports – will tell us where the recent self-storage building binge is taking us. If you’d like to know more regarding the self-storage industry – real juicy stuff, like growth patterns across the US over decades, costs and operating expenses for a facility – check out this comprehensive report by the Self-Storage Association. But despite all the construction and all the information, one thing remains constant: At the core of the industry are the people who need space for their stuff. People who may be our customers. Or maybe potential customers. 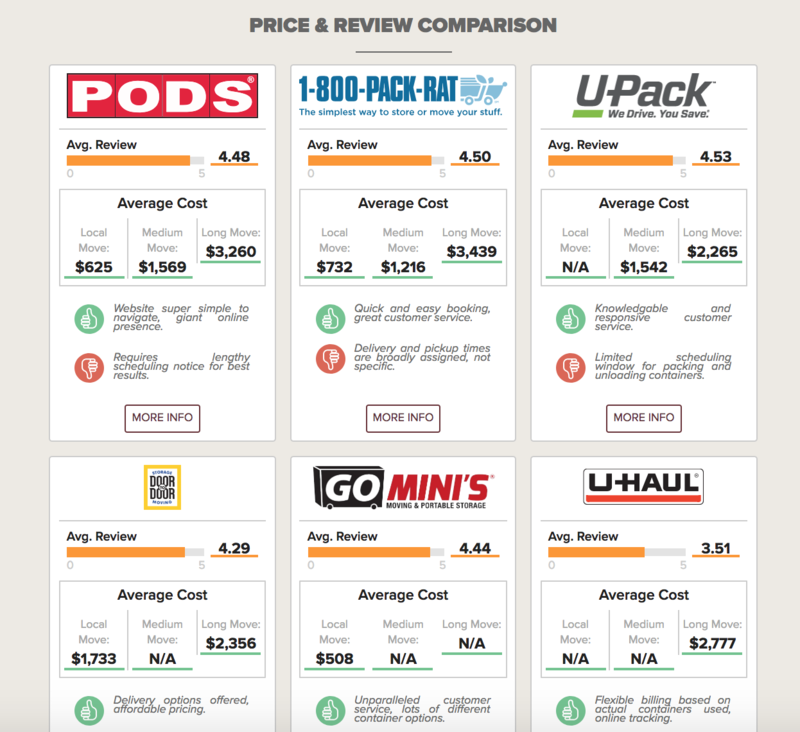 If you run a moving company, it pays to know where your local storage facilities are – and who is running them. It’s probably not hard to guess that the portable self-storage business is booming. Those boxes are everywhere. What might not be so well-known is how differently the many players out there operate. In this spirit, here are some answers to questions you may or may not know to ask, but a lot of “movees” everywhere ask us all the time. If a meteor pulverizes my container, who is liable for the damage? Will I be reimbursed? Obviously, damage is more likely to occur in some other, less dramatic way while the container is parked somewhere. But regardless of how it gets damaged, it still depends! If you didn’t purchase coverage (sometimes incorrectly called “insurance”), you may not be covered for anything – and that includes damages to the container. You might be thinking that, say, a meteor qualifies as an Act of God and is one of those things you’ll be covered for no matter what, but tell that to the couple from Houston who found out a little too late that the portable storage company they used didn’t offer flood insurance. It is critical that you ask your portable storage provider about coverage against loss and damage. Not just for your stuff, but for the container itself, as some companies require you purchase coverage for both their stuff and for the container itself. Make sure to ask if you don’t want things left to the whim of floods. Or meteors. 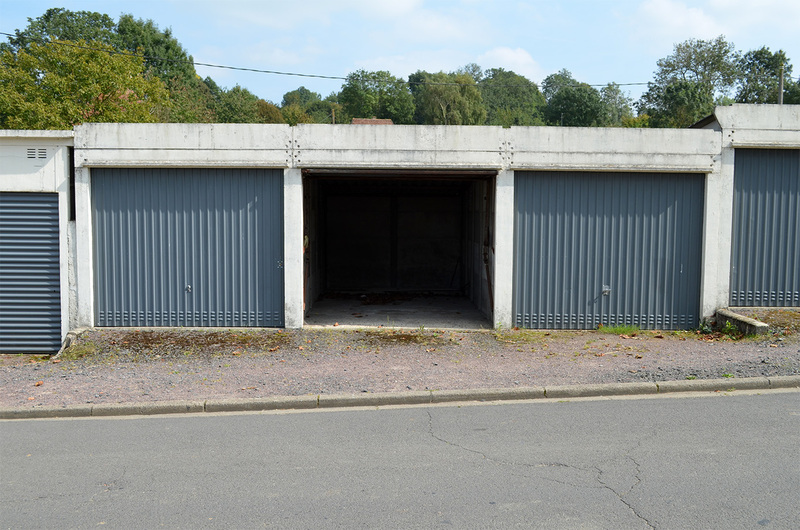 Can I arrange to keep my storage container on my property until I am able to load it up? 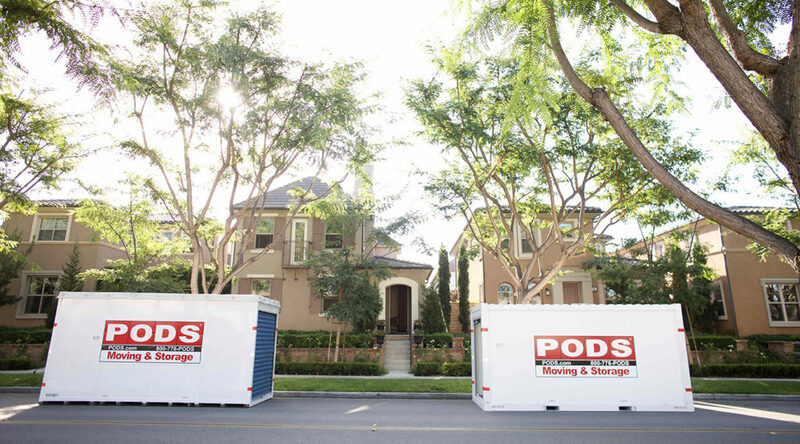 PODS, like many companies, will tell you that you can keep it there on the driveway as long as you want, as long as you pay. The municipal authorities, however, might not be so accommodating. Make sure you double-check. Are portable storage containers weatherproof? 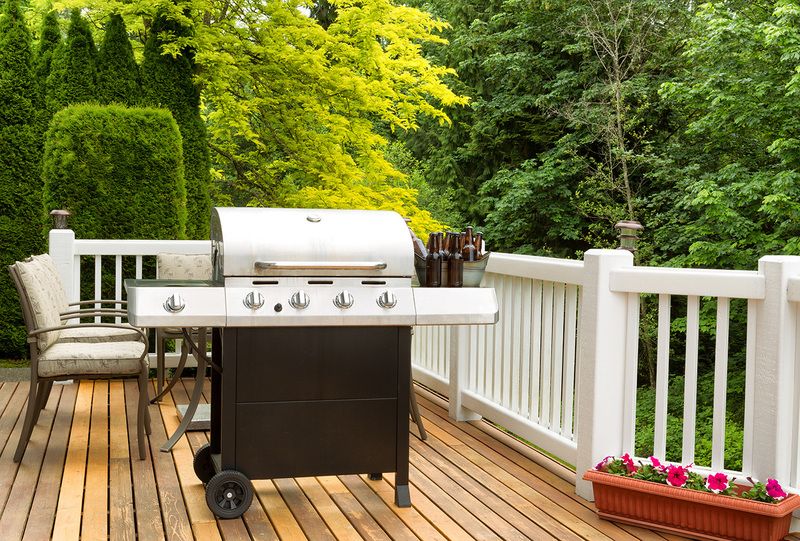 Whether containers are fireproof or fire-resistant is another point you might wanna ask about, especially if you live in fire country. Many containers are made of galvanized steel, though some can be aluminum or even plastic. As for SmartBox, they incorporate wood into the interior. If you’re keeping these things anywhere near woods, far crazier things have happened. Can my portable storage container be locked? Of course. It sounds like a silly question, but you may not know that you often have to provide your own padlock. So checking beforehand is anything but silly. Are portable storage container facilities climate controlled? It depends. PODS says “many” of their storage facilities are climate controlled. U-Haul says climate-controlled storage “is available”. 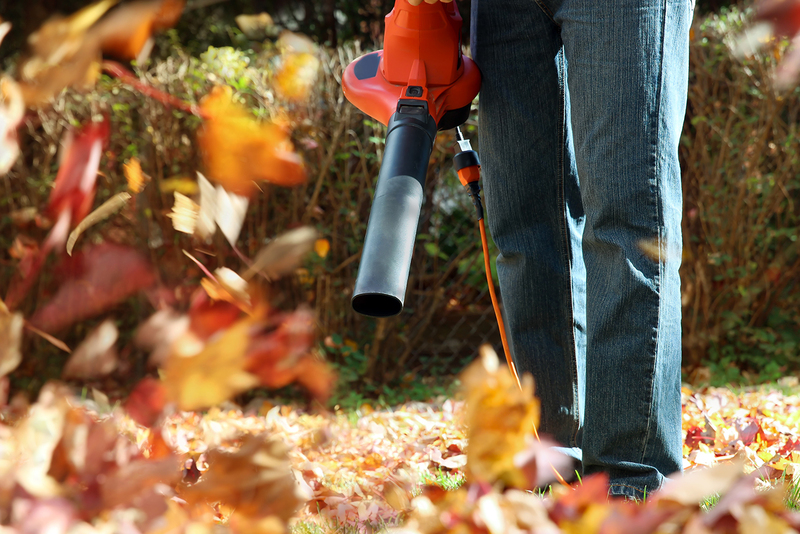 Some companies may store their containers outdoors, so call and make sure! American Portable Mini Storage is one company that offers climate-controlled portable storage containers as a mainstay feature. Can I access my container if the company is keeping it in storage? Once again, it depends. PODS says yes, but an appointment is necessary. U-Haul offers 24-hour access to their storage facilities. Anything else I should I ask? 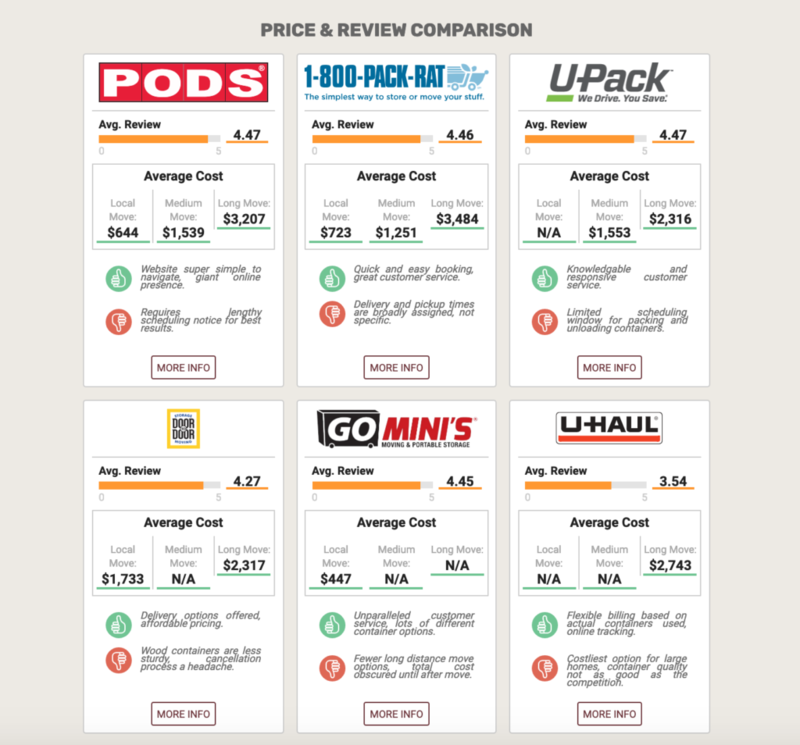 Sure: size of container to get, delivery window questions, and what a good price is are the most obvious. 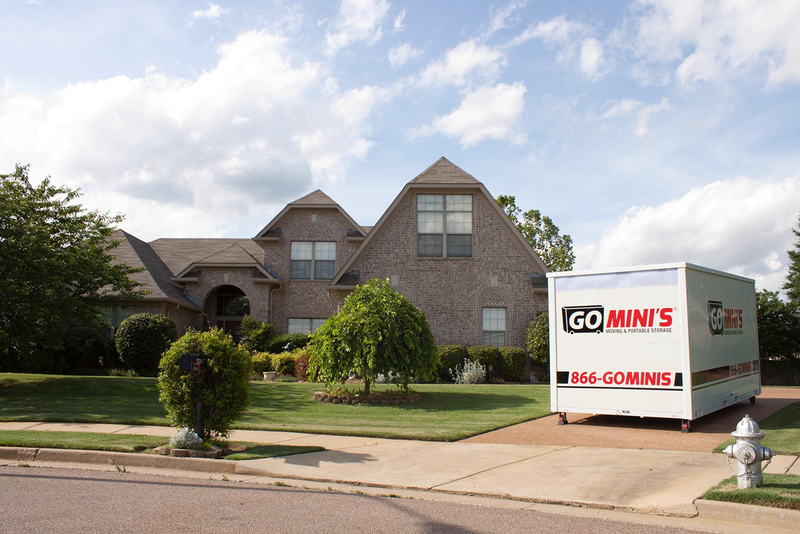 Luckily, you don’t have to be a moving expert. We’ve charted all of that info for you over on Moving101, so you can see all that stuff at a glance. Plus, you can read what real people who’ve collectively used all the different companies have to say about their moving container experiences. You don’t have to be an industry insider to know that the self-storage industry is booming. Drive around Anytown, USA and it’s almost impossible not to notice those orange-and-gray, or orange-and-purple, or green-and-white facilities popping up all over the place. Even if you round down SpareFoot’s numbers from 2016, the country is currently at over 50,000 self-storage facilities generating over $30 billion in annual revenue. Crazy numbers, for sure. And guess what? Things are only just beginning to get interesting. We’re seeing the emergence of a lot of small (for now) companies offering services beyond typical self-storage – services that were virtually unheard just a few years ago. Consider MakeSpace, a New York City outfit that has raised $47.5 million in venture capital in just the last two years. 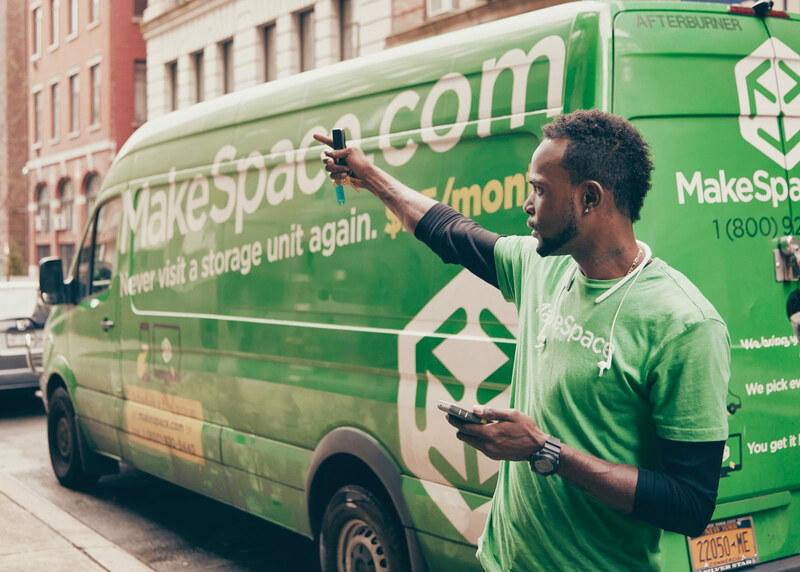 Not your average self-storage provider, MakeSpace packs, picks up their customers’ excess belongings and brings it all to their storage facility. Customers don’t need to think about how much storage space they need because they don’t actually have to rent storage units. They don’t have to worry about getting their stuff moved to a certain place and time because MakeSpace does all the back-and-forth for you. And since their storage facilities are located in what TechCrunch describes as “less desirable areas” outside prime real estate locations that are fairly removed from the residential areas they serve, MakeSpace can rent space at a lower cost, thereby reducing operating expenses. Besides New York, MakeSpace operates in Los Angeles, Chicago and Washington, D.C., serving tens of thousands of customers, that according to CEO Sam Rosen. Meanwhile, Clutter of Culver City, CA, operating on a similar business model, has expanded beyond Los Angeles to serve San Francisco, San Diego, Seattle, Chicago, and states New York and New Jersey. As of June 2017, they have raised $96.5 million in venture capital – double that of MakeSpace. According to Forbes, they plan to infiltrate every major city in America and several more abroad. Millions in capital, global plans … there must be a lot more people out there with a lot of stuff willing to pay extra for this ultra-convenient, self-storage service. Of course, not everyone is looking for self-storage. Some people just need to get their stuff from Point A to Point B. Unsurprisingly, the range of services for these people has exploded too, starting with the U-Haul revolution and the rise of ABF Freight, followed by the portable storage container craze and – ahem – the wild growth of the moving labor sector. It turns out this is the one place eco-conscious people choose plastic over paper. Yes, we’re seeing now that people want to be green as much as they want to save green – and we see that customers are looking for even more alternatives when they move. And one of those alternatives involves cutting back on all that cardboard and tape. Enter the gorillas and the kangaroos. Since 2011, Gorilla Bins of New York City has been renting out black plastic bins two weeks at a time. (They know it takes a lot more than a day to pack and unpack!) And they aren’t the only ones touting the three-point “We drop them off – You use them – We pick them up” service line, inspiring plenty of imitators. 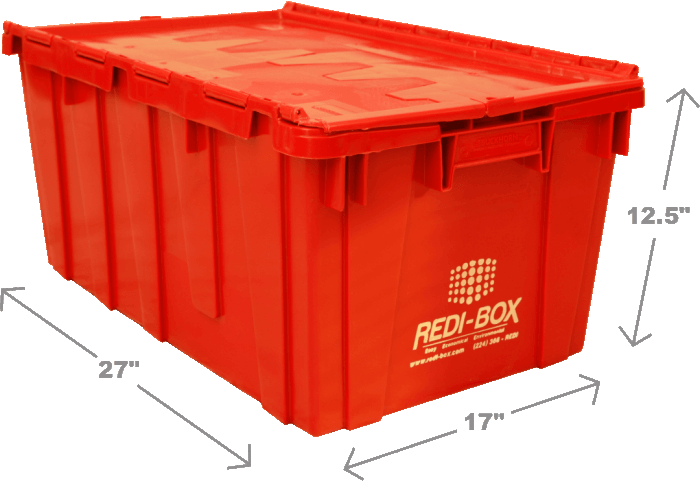 Redi-Box is ready with their red bins in Chicago and Portland. Rent a Green Box covers Los Angeles and Orange Counties with their (of course) green plastic bins. Hopping around the Springfield, MO area we have Roo Rent a Box and their stacks of gray bins. Also of note, a company named Bin-It is running a similar operation out of their northern New Jersey headquarters, serving not only the New York area but Philadelphia, Indianapolis and Nashville. Yet unlike the gorillas and kangaroos, Bin-It also offers storage, bridging the service gap between valet storage and simple moving bin rental. It probably goes without saying (but we’ll say it anyway) that this plastic bin rental business is a local thing. It’s conceivable that in the future we’ll see this change as some of these bin-renters extend their reach further across the country and can handle the logistics of tracking and managing their bins in the same way U-Haul manages their trucks. For now, despite the impressive growth of this eco-friendly niche, it looks like the trend of renting plastic bins instead of using cardboard boxes will remain an aspect of the local move market. How Does This Impact Movers? So what does this have to do with all of us in the moving labor industry? It surprisingly doesn’t, directly. But say someone calls you up asking if you offer storage services. “No,” you say. But your conversation shouldn’t end there. This person needs a service and seems not sure where to turn. By pointing them in the right direction, you are not only helping them, you’re also tossing a biscuit of friendship to the people you are referring them to. “Tell them Kevin at HireAHelper sent you,” you might say. Or Mark at Mark’s Movers, or whatever the case may be. You recommend them, they recommend you, and everybody gets a business boost. This dynamic works especially as long as storage bin companies exist as a local enterprise. The same dynamic can work with the valet storage niche, as well as the emerging plastic moving bin rental market. These companies are directly tied to the storage and moving industry, just like us. Yet they occupy a different niche. So rather than competing, our services are almost always perfectly complementary. Likewise, those customers looking for that environmentally-friendly alternative to cardboard boxes are potential customers too. 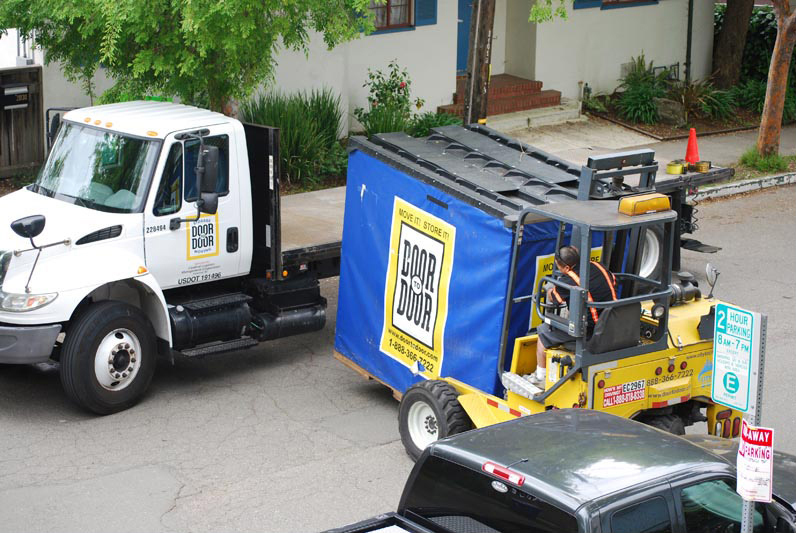 The bin-renters generally don’t offer actual moving services, so the door is wide open. At the same time, be aware that a few other valet storage providers and bin renters have had the same brilliant idea, and have begun creating those collaborative partnerships with a few local movers. So don’t wait! Get online, get on the horn, pick up the phone and get out there! Meet these new players in the storage and moving industry. There may never be a better ally, or imposing competition, depending who gets there first. In 1914, Joseph and Henry Bimm of Dayton, Ohio opened the Bimm Fireproof Warehouse. Aside from such luxurious amenities as electric lighting, a temperature-controlled piano room and a burglar-proof vault, the Bimm brothers’ warehouse was famously billed as “absolutely fireproof”. Today, warehouses haven’t exactly lived up to that one’s reputation. In another Brooklyn warehouse incident, this one in 2015, an initial fire set off the sprinklers, dousing the flames. The bad news was that firefighters had to take the sprinkler system off line since sprinkler heads have to be replaced after discharging water. This meant they were out of commission when a second fire began to spread. The material stored in the warehouse consisted largely of sensitive documents: “medical records, court transcripts, lawyers’ letters, sonograms, bank checks and more” from the state court system, the city’s Administration for Children’s Services and the Health and Hospitals Corporation and several local hospitals. 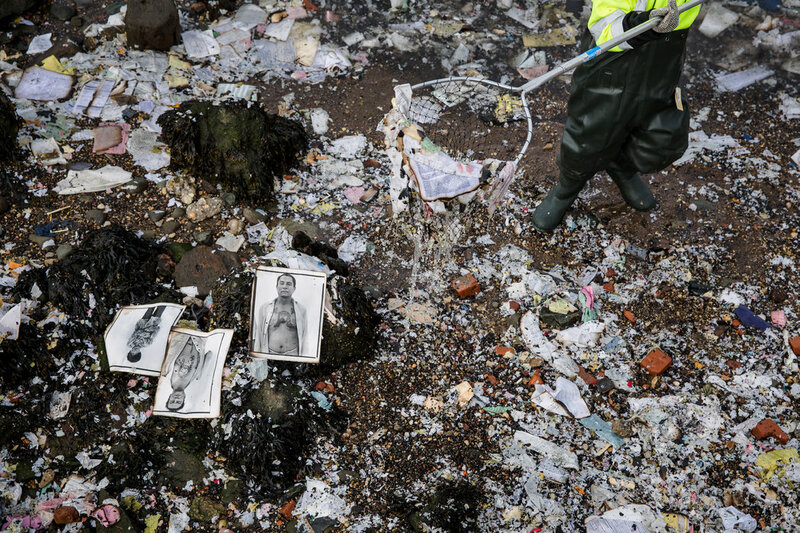 These documents, containing identifying information on countless thousands of people, ended up being strewn all over the neighborhood and the waterfront as that warehouse began to crumble. Finally, in a most ironic twist, a Northern California man lost a mountain of valuables hours after moving them from his home to a nearby warehouse. In August 2016, the Clayton Fire was spreading fast across dry, grassy Lake County, a hundred miles north of San Francisco. Lower Lake resident Marc Giberson saw his home was in danger and made the quick decision to evacuate, taking his girlfriend and her dogs away in his pickup, which he piled high with valuable musical memorabilia, including his late musician father’s record collection and his grandfather’s saxophone. With a friend and a bulldozer, he was able to save his home, but the fire swept through town and destroyed dozens of buildings – including, yes, that warehouse. Fires happen, unfortunately. Things burn, naturally. But far better steps need to be taken to minimize the damage. Anyone out there know how to get in touch with Joseph and Henry Bimm? Moving to college is a big deal. Take it from me, emotions are running pretty high, you may be nervous, you might have traveled pretty far and you have a lot on your mind. Mistakes happen. 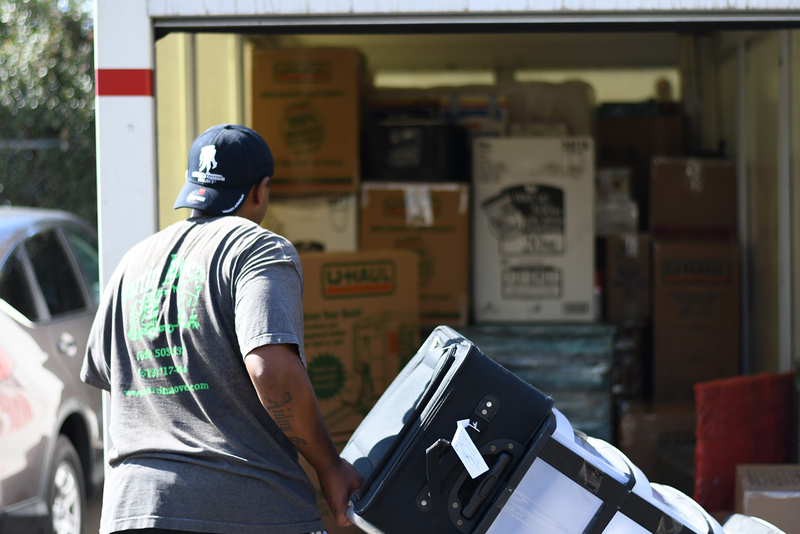 Fortunately, there are several ways to make moving into college a whole lot easier. 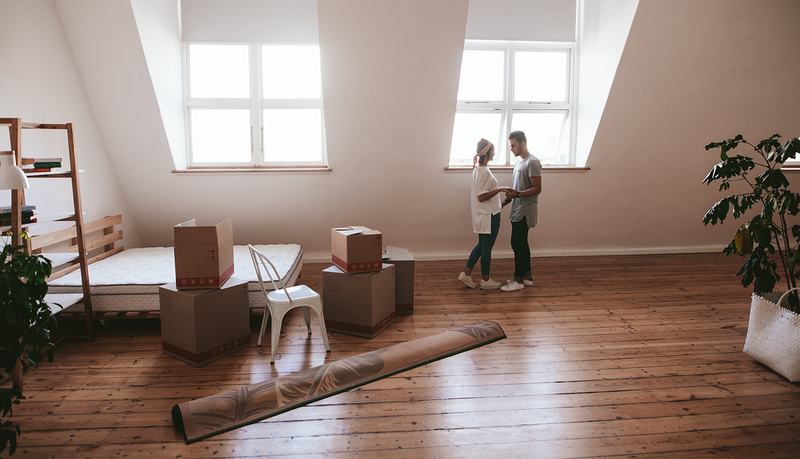 It won’t take away from all of the emotions of leaving home, but you can at least transition with simplicity, so you’re just prepared to enjoy your new life.